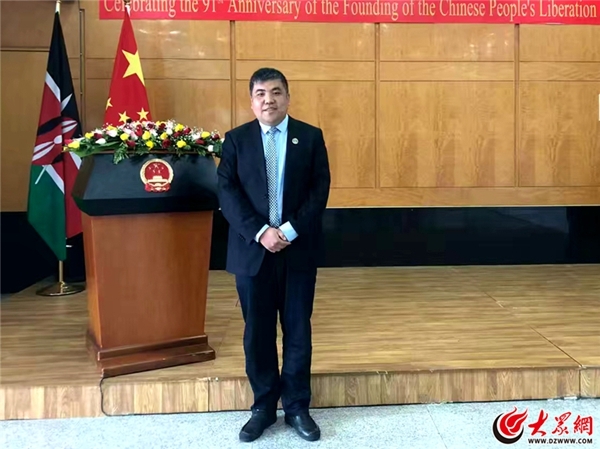 "The upcoming Conference of Great Business Partners in Shandong will provide a platform of communication and cooperation, and also help Shandong attract more investment and talents," said Zhan Dong, vice chairman of the Kenya Chinese Chamber of Commerce and chairman of the Kenya Shandong Chamber of Commerce, who has confirmed his attendance at the conference. The 2018 Conference of Great Business Partners is scheduled to take place in Shandong province on Sept 28-30, with the aim of building a platform for global businessmen to communicate and cooperate. Zhan noted that the event will gather businessmen from around the world to share their entrepreneurship experiences and insights on Shandong's economic development. As a Shandong-born entrepreneur, Zhan has started doing business in Kenya, focusing on importing commodities from African countries to Shandong. According to Zhan, the rapid development of Shandong's logistics industry has promoted international trade and the Belt and Road Initiative, and also brought opportunities to further Shandong-Africa trade ties. Zhan believed that Shandong has the potential to become an import platform and base, importing goods from overseas countries and delivering to domestic cities. He wished to help transfer some Shandong's processing enterprises to Africa, in a bid to boost Africa's economic growth, attract more high-tech professionals to Shandong, facilitate the conversion of new and old kinetic energy and push forward Shandong's development.